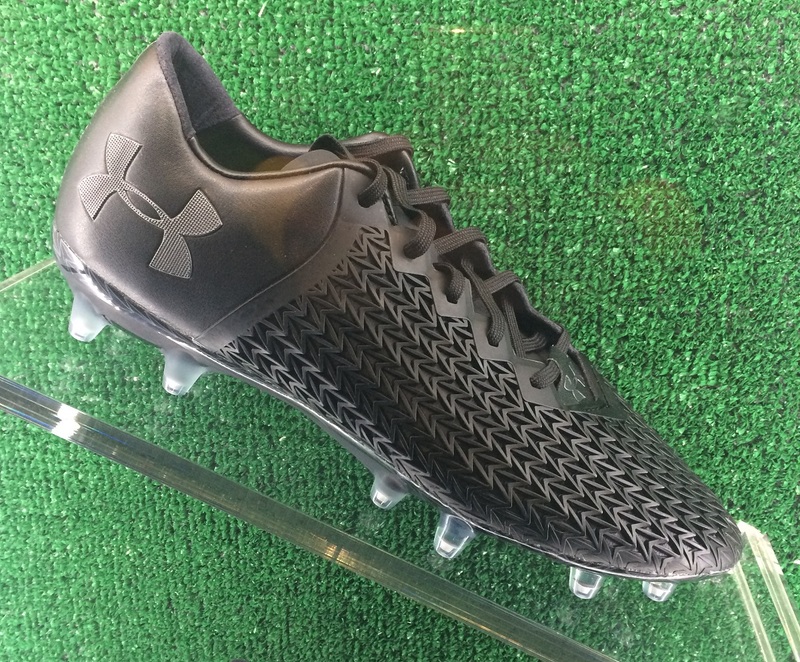 Last weekend, while at the NSCAA convention is Los Angeles, we briefly had a chance to catch up with the folks at Under Armour. With a large booth on hand, they went above the regular display of current boot models. Up front, they proudly displayed a pair of ClutchFit 3.0 3D, a boot that features a flow-molded 3D ClutchFit Auxetic upper. With less than 100 pairs released worldwide, it was pretty cool to see the limited edition boot up close. 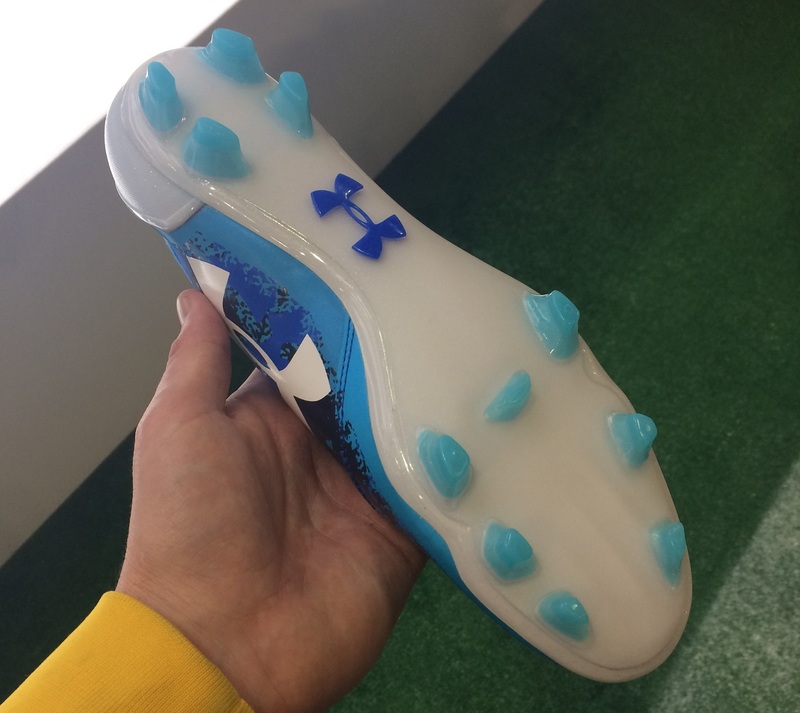 Along with those boots, UA used the event as an opportunity to showcase an upcoming set of Blue colorways in the Speedform and Clutchfit series. 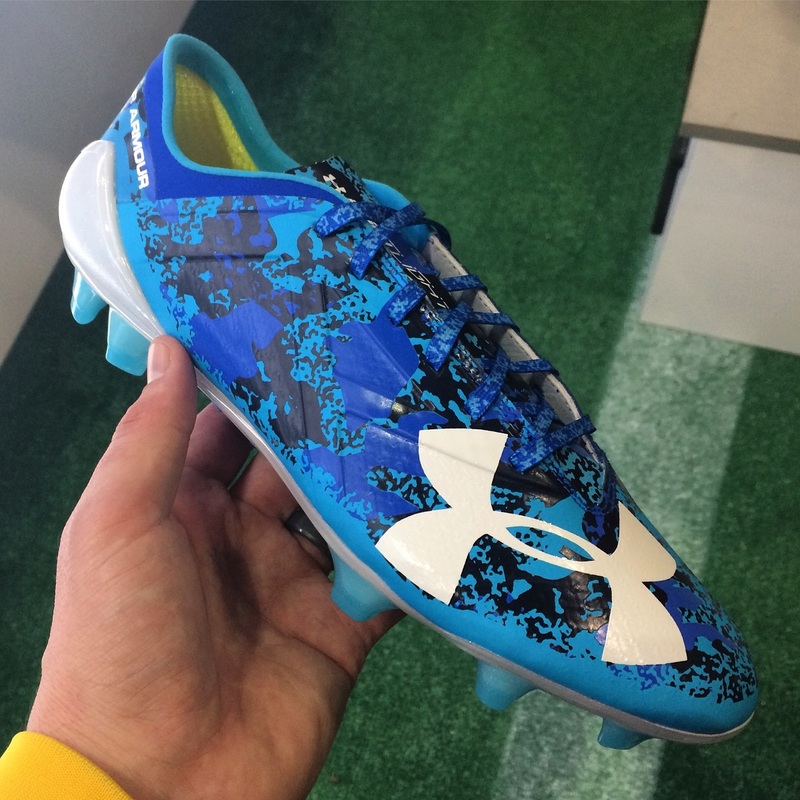 The Speedform, in particular, with its wild blue-splash, camo style pattern looks pretty sweet. In terms of marketshare, UA are catching up with some of the bigger brands on the market, although I still feel like they are under appreciated. Everything they are doing to date is taking them in the right direction; comfortable boots, very decent colorways and a solid marketing strategy. I’m a fan of what they do, and am excited to see where they go with things in the future. As per the BONUS update below…. If you haven’t checked them out yet, find the latest UA offering at soccer.com.